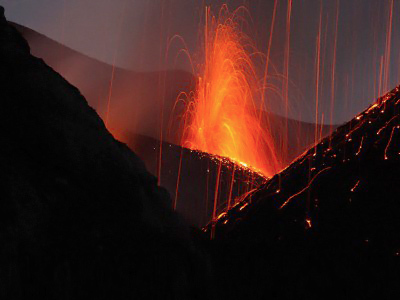 The Italian volcano Mount Etna has erupted, sending plumes of orange lava into the air and blowing ashes as high as 5,000 meters. 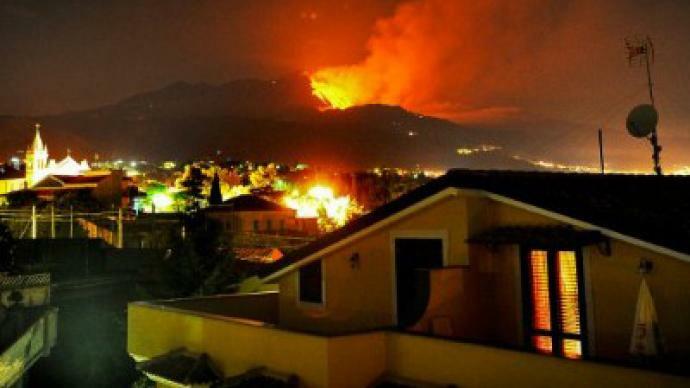 ­The spectacular eruption of Etna, which is considered to be the most active of Europe’s volcanoes, lasted several hours and was the first of 2012. According to volcanologists it was a new crater on the volcano south-eastern slope that erupted. 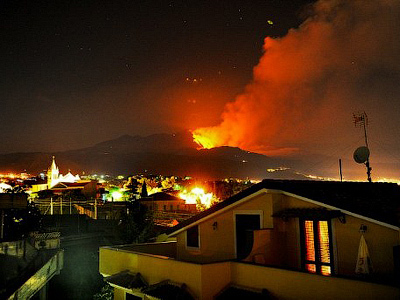 The volcano's activity did not disrupt the work of the regional airport, even though massive clouds of ash could be seen from the distance.